Hi All!! I’ve been so quiet lately because I’ve been pushing myself to get this Halloween story done in time, and I made it …Phew!! So here is the cover of The Legend of Sleepy Mayfair, A Marcia Banks and Buddy Mystery, which will go live next Tuesday 10/9/18. 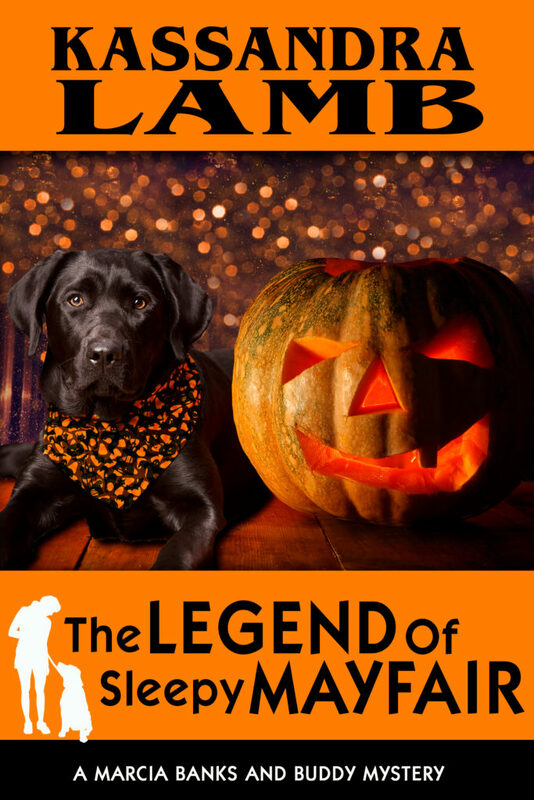 A Halloween romp that turns seriously scary! Her adopted town is once again driving service dog trainer Marcia Banks a little nuts! No sooner has she moved her horse into the new Mayfair Riding Stable than its octogenarian, muumuu-wearing owner decides to turn the barn into a haunted house for Halloween. Meanwhile, an anonymous prankster is haunting Mayfair, disrupting its small-town tranquility, and the local postmistress has a strange request for Marcia. All this, along with her new role of godmother to adorable twins, is a bit overwhelming. But it’s nothing compared to what’s coming. As Halloween approaches, the evil lurking in the shadows will threaten what is most precious to Marcia and her beloved town. 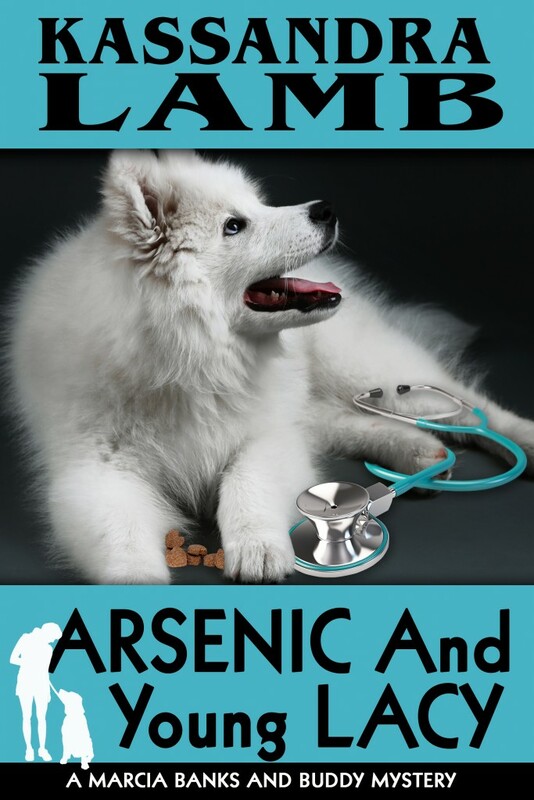 And to celebrate this new release, I’m having A SALE on ARSENIC AND YOUNG LACY ~ just $0.99, for a limited time! Her savings dwindling, service dog trainer Marcia Banks is anxious to deliver young Lacy to her new veteran owner and get paid. But on top of the former Army nurse’s existing neuroses, partially caused by a sexual assault by a male soldier, she is now being stalked. Soon both Lacy and Marcia are caught in the stalker’s malicious orbit. Sheriff Will Haines steps in to investigate, which Marcia finds both endearing and annoying. The training fee would make her solvent again, but will the stalker decide to pay Marcia off in a very different way? If you haven’t read this one yet, grab a copy quick! 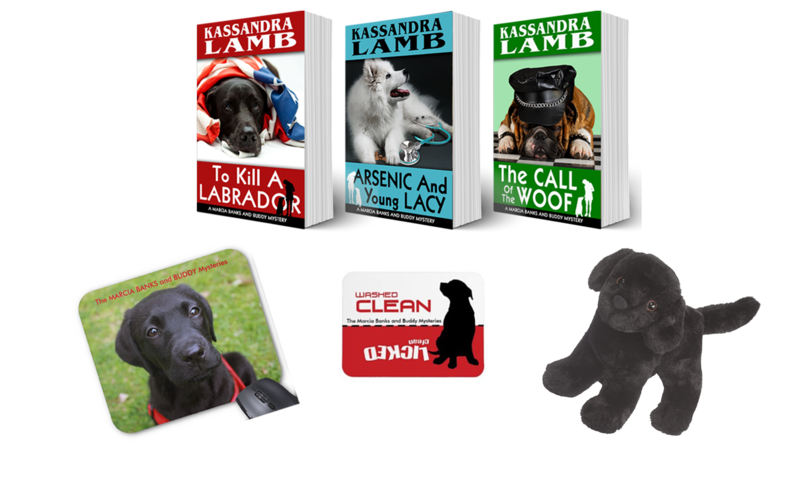 And Book 1, To Kill A Labrador is always $0.99! STAY TUNED for BUY LINKS for The Legend of Sleepy Mayfair! First the great news!! 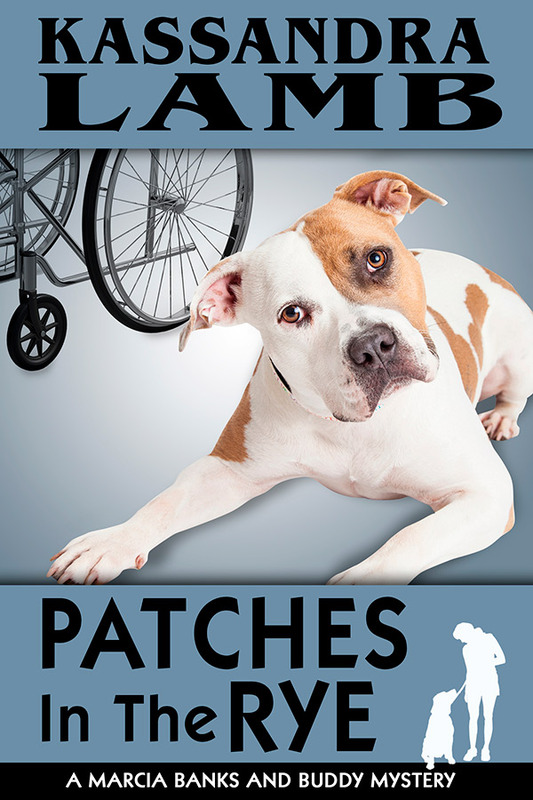 Patches In The Rye is live!!! Anyone who scored an ARC through my newsletter or street team, I would appreciate a review (links below). Second, the contest program somehow neglected to collect names, so I can’t readily announce our winner. The email address starts with shirley, so if this is you, please check your email (including your spam folder). Thanks!! Nothing about her new client is what service dog trainer Marcia Banks expected—from the posh house that says family money to his paranoid preoccupation with his sister’s love life—but when he dangles a thousand dollar retainer under her nose, she can’t resist his request to play private detective. In between training sessions with her client’s new service dog, Marcia learns the sister’s boyfriend has a sketchy past. He seems to have turned over a new leaf, but as she digs deeper, more disturbing and confusing questions arise. How is a disastrous frat party five years ago linked to blackmail, prostitutes, and murder today? And who is behind the wheel of the black SUV that keeps trying to turn Marcia and her canine companion Buddy into roadkill? Marcia can’t let it go, not when there are innocents at risk who are depending on her to find the truth. But the deepest, darkest truth is one she wishes she never uncovered. Available Now for $0.99 for a limited time! Paperback will be out soon! Finally, Patches In The Rye is up for Preorder, releasing on 7/24/18!! AND I’m doing ANOTHER CONTEST, to celebrate the new release! Click HERE to enter now* (Password is Buddy) to win THREE signed paperbacks, one of each of the first three books in the Marcia Banks and Buddy Mystery Series! PLUS, a dishwasher magnet, a mouse pad, and an 8″ stuffed Black Labrador (for the child in your life, or the child within you!). The winner will be announced on July 24, 2018! *U.S. residents only; international winner will receive ecopies of the books and a gift certificate worth the equivalent of $15 US dollars. A Mayfair Christmas Carol is Live!! Yay!! A Mayfair Christmas Carol is live! A Christmas extravaganza in Mayfair, Florida, complete with an ice skating rink. What could go wrong? When excavation for the skating rink uncovers a decades-old skeleton, its secrets threaten more than the town’s Christmas plans. Worried about her friends in her adopted town and feeling responsible since the let’s-attract-more-tourists idea was hers initially, dog trainer Marcia Banks is determined to help her police detective boyfriend solve the mystery—whether he wants her help or not. Perhaps she can wheedle more out of the townspeople than he can. 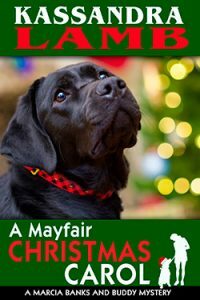 But will she and her Black Lab, Buddy, be able to keep the ghost of Christmas past from destroying what is left of Mayfair’s founding family, or will her meddling make matters worse? Merry Christmas from me, Kate, Marcia and Buddy!! I’ve Got a Christmas Novella For You! It’s available for preorder now! Releases on December 2nd! 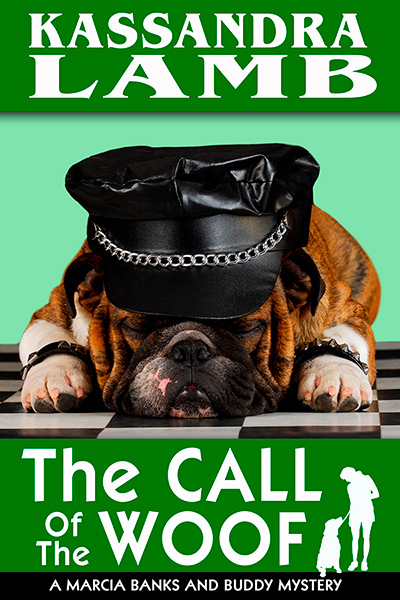 The Call of the Woof, New Marcia Banks and Buddy Book is Here!! Available for PREORDER Now! Releases 7/20/17! Army veteran Jake Black has a new lease on life, thanks to service dog Felix and his trainer, Marcia Banks. Despite a traumatic brain injury, Jake’s able to ride his beloved motorcycle again, with Felix in the sidecar. But his freedom to hit the open road is threatened once more when he and his wife are accused of robbery. Called in to dog-sit, Marcia can’t sit idly by. She and her mentor dog, Buddy, set out to clear the Blacks’ name, fighting misconceptions about bikers and the nature of TBI along the way. When murder is added to the mix, Marcia redoubles her efforts, despite anonymous threats and her sheriff boyfriend’s strenuous objections, both to her putting herself at risk… and to dragging him along on her wild ride. Cover Reveal for Next Marcia Banks and Buddy Cozy! Sorry I’ve been quiet for so long. But I’ve been busily editing and polishing the next Marcia Banks and Buddy cozy mystery, The Call of the Woof (Book 3). And today is Cover Reveal Day!! Woot! Hope to have it up for preorder by 7/10 and release day is 7/20, so stay tuned! My cover designer, Melinda VanLone found this image. Isn’t he adorable?